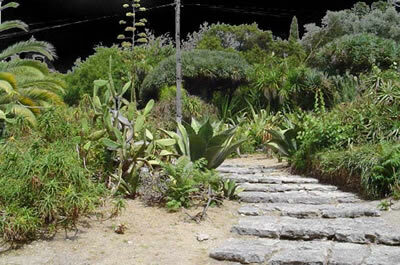 Exotic garden Tapada das Necessidades in Lisbon is a guarded secret even the most Lisboetas don’t know about. 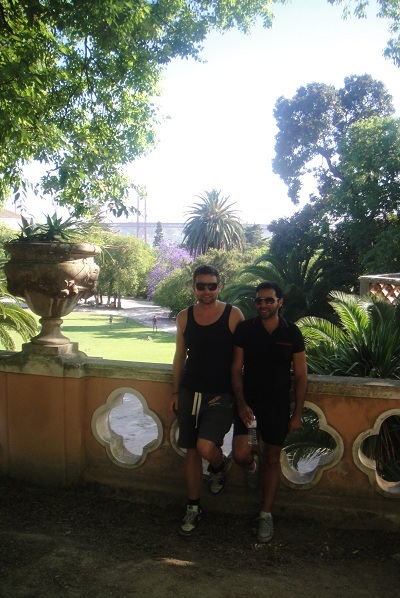 Beautiful grounds and palace peeling pink paint, with an incredible cactus garden and a setting for a picnic you usually only see in films. Since a few years it’s open to the public/tourists and it’s free! Between the famous Prazeres cemetery (also really worth a visit!) 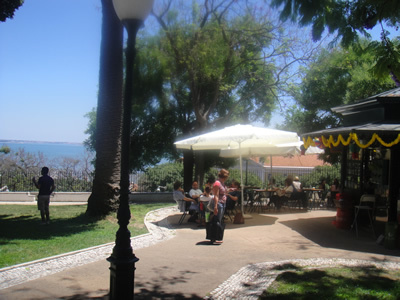 and the river Tagus (Tejo) you can find this large (about 10 ha) exotical park, including a wonderful picnic area, a network of walkways, historical buildings, a garden and lakes. 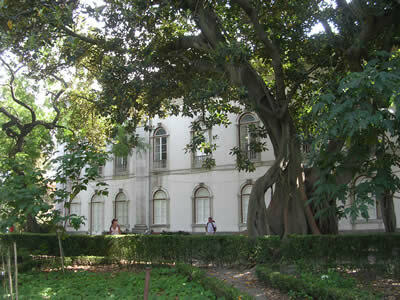 The grounds of the palace contain a remarkable collection of exotic plants known as “Tapada das Necessidades”. 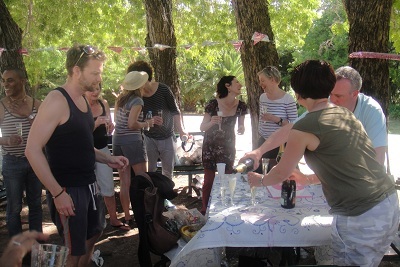 Our lovely friend Lilja (70) from England, born in Iceland, was invited for a surprise birthday picnic. This beautiful lady likes shopping, like handbags, hats and shoes, and she loves to try on every pair of shoes before deciding whether to buy anything at all 😉 . 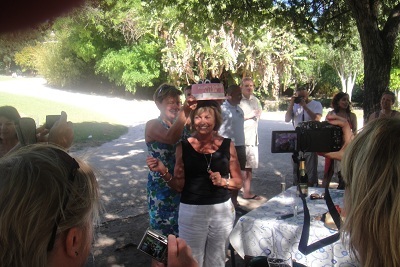 That’s why this special birthday cake: a pink ‘hat’ decorated with elegant ladies shoes and a small handbag on top. The Palace (Palácio) das Necessidades was built in the 18th century in gratitude for prayers answered by Nossa Senhora das Necessidades (Our Lady of the Needs, a title dedicated to the Virgin Mary), whose first devotional chapel stood on this site. The ‘Tapada das Necessidades’ has been the stage for some important events in Portuguese history, as exemplified in the famous case of the box that king Dom Pedro V installed at the door, in wich everyone could leave their messages and complaints to the sovereign. From 1910, the palace remained unoccupied for almost 40 years. 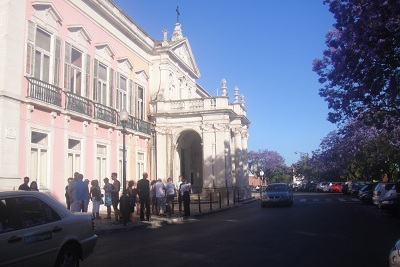 In around 1950 it became the headquarters of the Portuguese Ministry of Foreign Affairs. 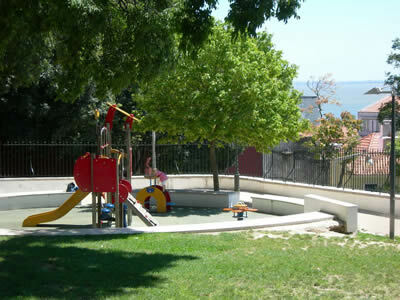 There are three lakes surrounded by exotic vegetation, sculptures, a waterfall, a fountain and a pool. Really beautiful but faded elegance…. 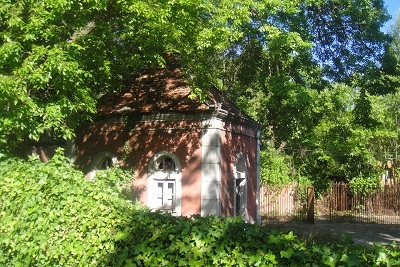 One of the little pink-painted houses in the garden: playhouse for the little prince? How to get there? Take the 28 tram to Prazeres. 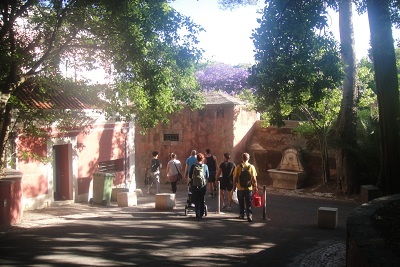 The main entrance of the park Tapada das Necessidades is through the Largo das Necessidades. 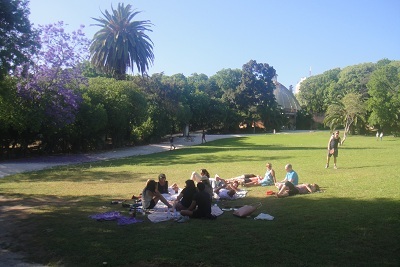 This park is open to the public every day of the week – including Saturdays and Sundays, the entrance is guarded but entry is free. 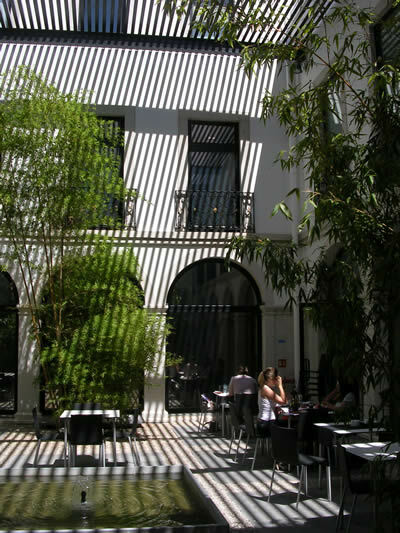 Restaurant ‘Casa da Comida’ in Lisbon is an international well-known restaurant, very famous for its Portuguese gastronomy. 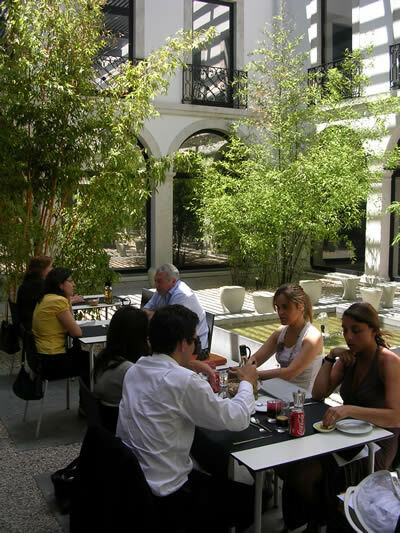 In January 2009 ‘Casa da Comida’ (‘ the house of food’) opened a cafetaria/ restaurant in the wonderful new bamboo garden of Museum São Roque. This museum and church is home to Italian art from the 16th and 17th centuries. 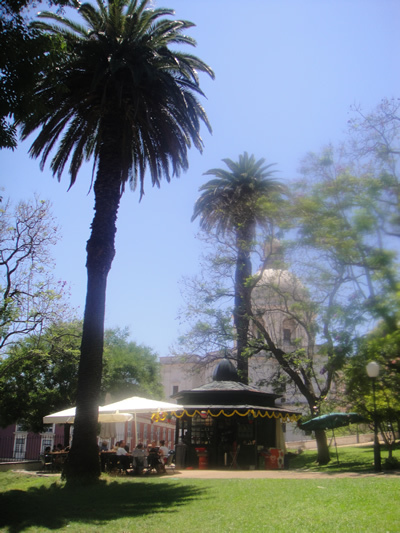 This restaurant/cafetaria is located near one of Lisbon’s most interesting churches: Igreja São Roque (Church of Saint Roch), the earliest Jesuit church in the Portuguese world with its magnificent baroque interior and the Museum São Roque : Museum de Arte Sacra (Sacred Art), one of the oldest art museums in Portugal. 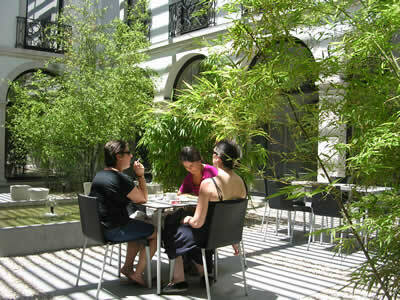 After (or before) your visit to the church and the Museum (€ 2,50), it’s a good idea to enjoy a coffee, a light lunch or an afternoon tea in this wonderful and quiet inner-garden. At the entrance of the Museum the receptionist will open the door for you, but it’s not necessary to buy a ticket. 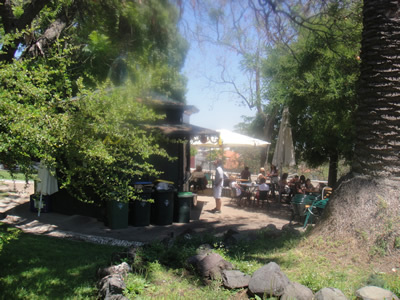 There’s a varied menu, and in winter you can also sit inside the restaurant to eat or relax. Goood atmosphere! 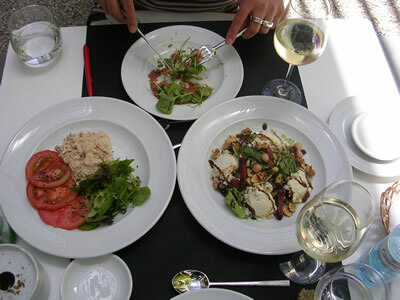 We ordered Carpaccio de carne (meat € 8.00), salade de atum (tunny € 6.00), a salad with goat-cheese (cabra € 8.00), agua (water € 1.50) and 2 glasses of (delicious) Planalto Douro wine (€ 5.00, bottle € 10.00). Coffee € 0,90. Thanks to manager sr. Manuel Silva, muito obrigada for your perfect service! 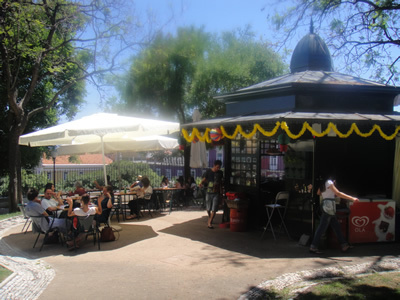 Restaurant/Cafetaria ‘Casa da Comida’, Lisbon cafetariasaoroque@casadacomida.pt (00351) 21 323 54 46. Open: Tuesday – Sunday from 10:00 – 18:00. 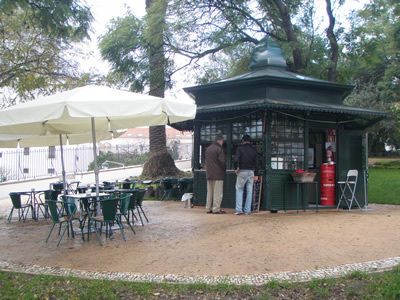 (On Sundays a lot of restaurants are closed in Lisbon). Thursday 14:00 – 21:00. 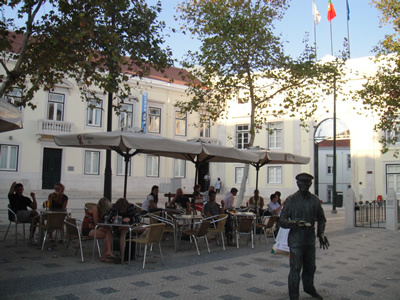 I set foot in Lisbon back in 2001 after 9/11, and how refreshing not to understand a word as I went from café to café drinking galão, with TVs blaring in the background. I overheard an eager tourist trying to sum up this city as he scrunched his eyes under the vivid Atlantic light and scanned his vocabulary for words that fit. Faded elegance, he said. I worked as an English teacher, moved to the Bairro Alto, opened a café, wrote two books, closed the café, and now I’m writing a third and learning to surf. 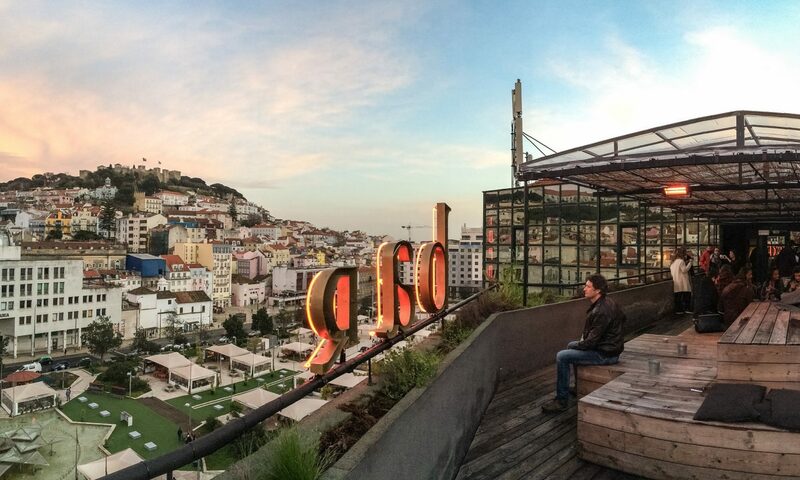 For me, Lisbon is a living city. She’s female, she’s choosey, she’s testing, but if she likes you she’ll open up and share her secrets. 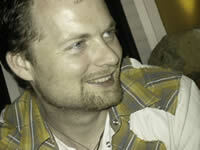 Best thing to do is leave the guide book at home and take to the streets with an open mind. It still amazes me how people here so easily strike up conversations, and they’ll happily tell you their life story in a nutshell before giving you directions. Rua da Escola Politecnica 58 in Principe Real. Trees from all over the world, a family of squawking parrots, tiny terrapins, leafy shade, abandoned observatory and boundless inspiration. 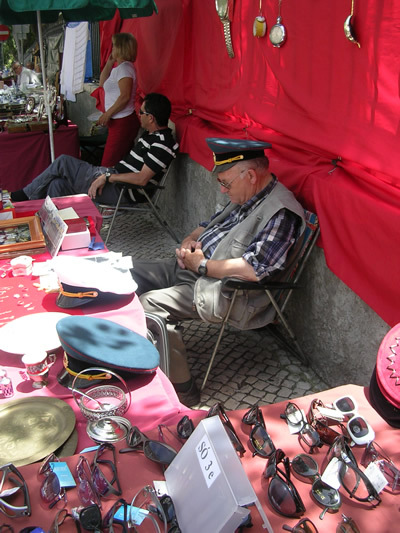 Guarded secret even the Lisboetas don’t know about. 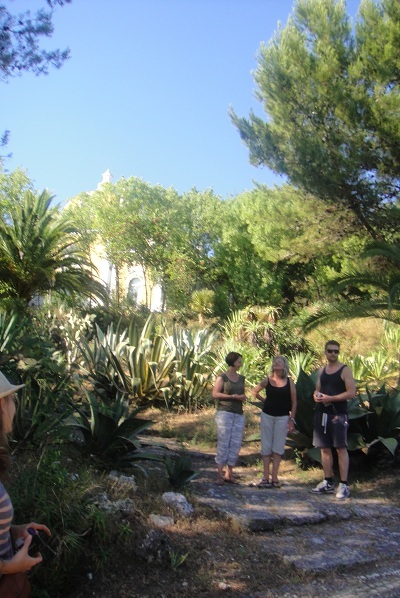 Beautiful grounds and palace peeling pink paint, with an incredible cactus garden and a setting for a picnic you usually only see in films. Take the 28 tram to Prazeres.